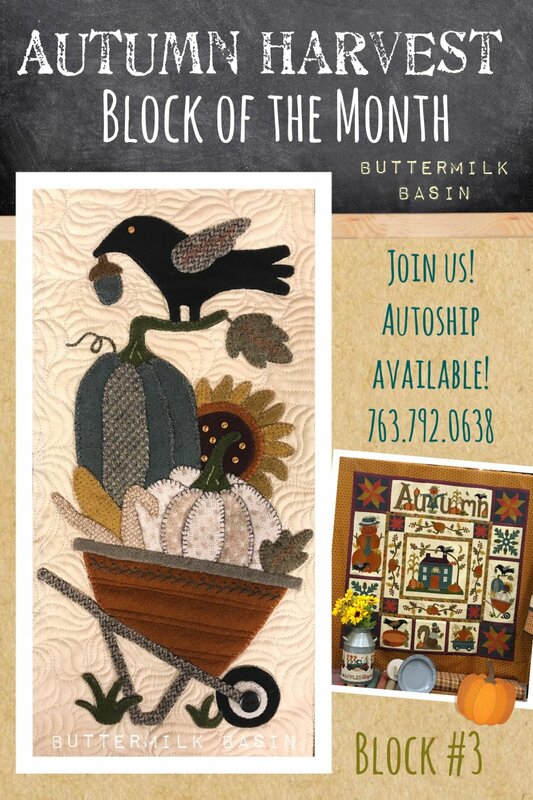 Block #3 in our Autumn Harvest BOM features a crow perched atop a wheelbarrow full of fall's bounty! 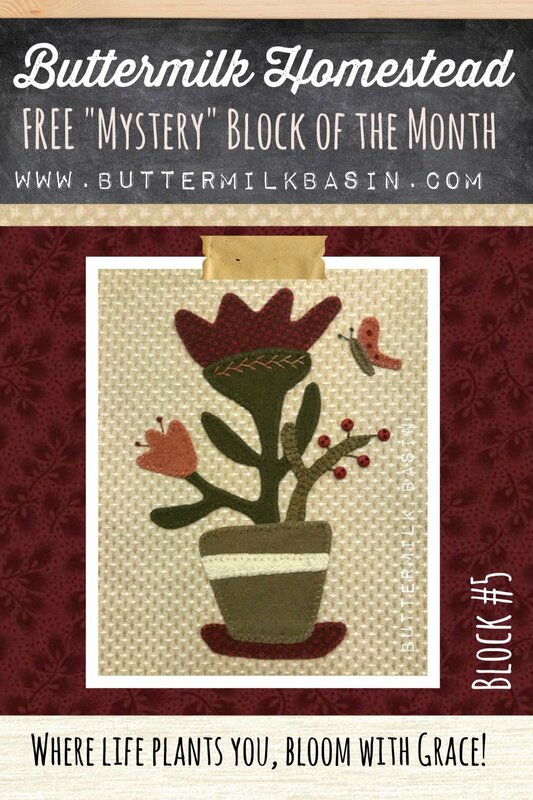 This is for the pattern and kit that includes all of the gorgeous wool and the fabric background to make this block! 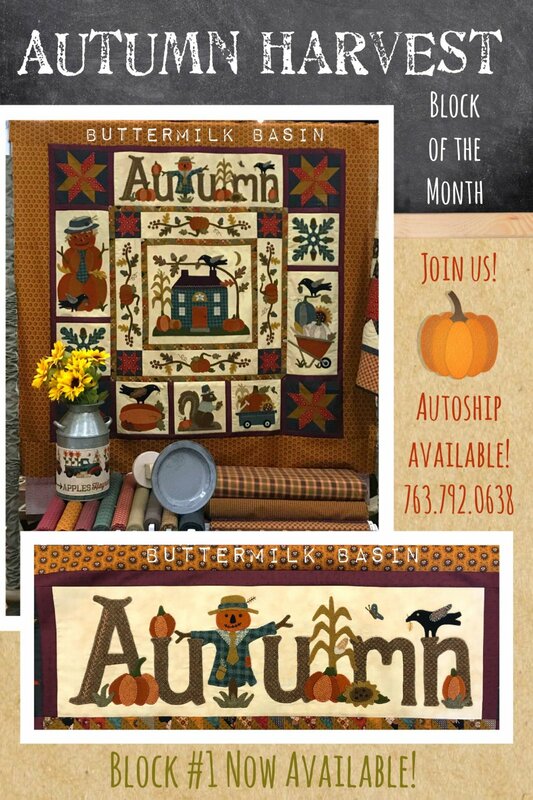 Our button pack is filled with all the warm fall tones of handmade buttons needed to complete the quilt. This kit includes all the thread needed for the entire project. It consists of 14 various hand dyed 12 weight balls of floss & 6 strand floss skeins. The August Simply Scalloped Mat pattern gives you the instructions to make both the oval mat and circle mat, and this kit includes wool to make both the oval mat and the round mat. The oval mat is 7" x 13", and the round mat is 7.5" round. 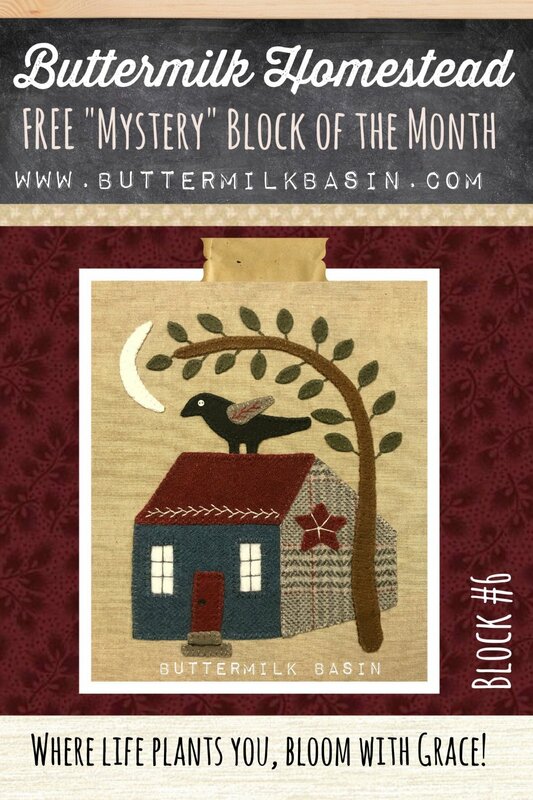 The button pack contains 5 hand dyed buttons that are used on Block #5 of Buttermilk Homestead Mystery BOM. 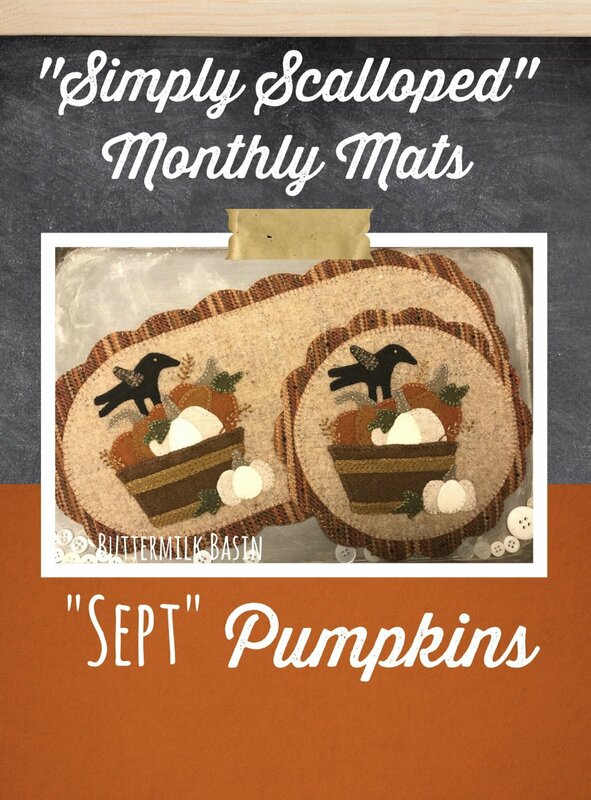 The August Simply Scalloped Mat pattern gives you the instructions to make both the oval mat and circle mat. The oval mat is 7" x 13" and the round mat is 7.5" round. 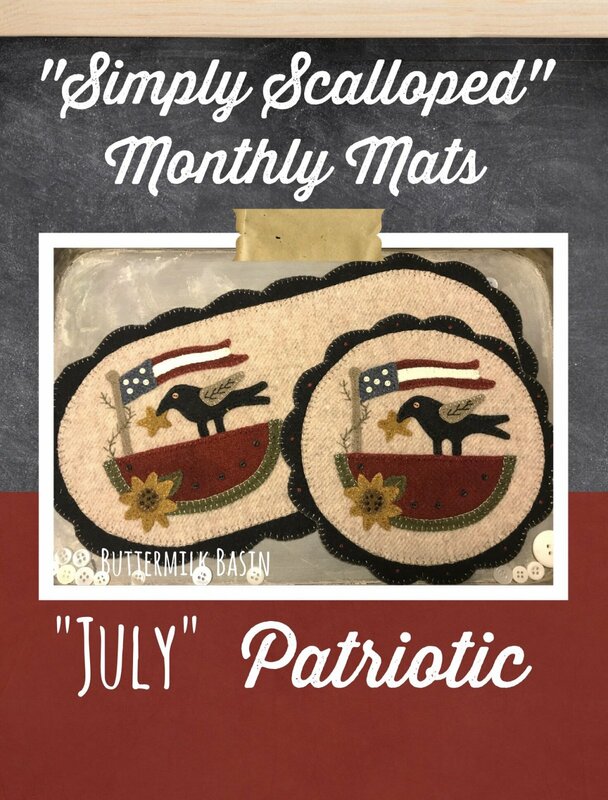 The July Simply Scalloped Mat pattern gives you the instructions to make both the oval mat and circle mat. The oval mat is 7" x 13", and the round mat is 7.5" round. The July Simply Scalloped Mat pattern gives you the instructions to make both the oval mat and circle mat, and this kit includes wool to make both the oval mat and the round mat. The oval mat is 7" x 13", and the round mat is 7.5" round. The June Simply Scalloped Mat pattern gives you the instructions to make both the oval mat and circle mat, and this kit includes wool to make both the oval mat and the round mat. The oval mat is 7" x 13", and the round mat is 7.5" round. The June Simply Scalloped Mat pattern gives you the instructions to make both the oval mat and circle mat. The round mat is 7.5" round and the oval mat is 7" x 13". 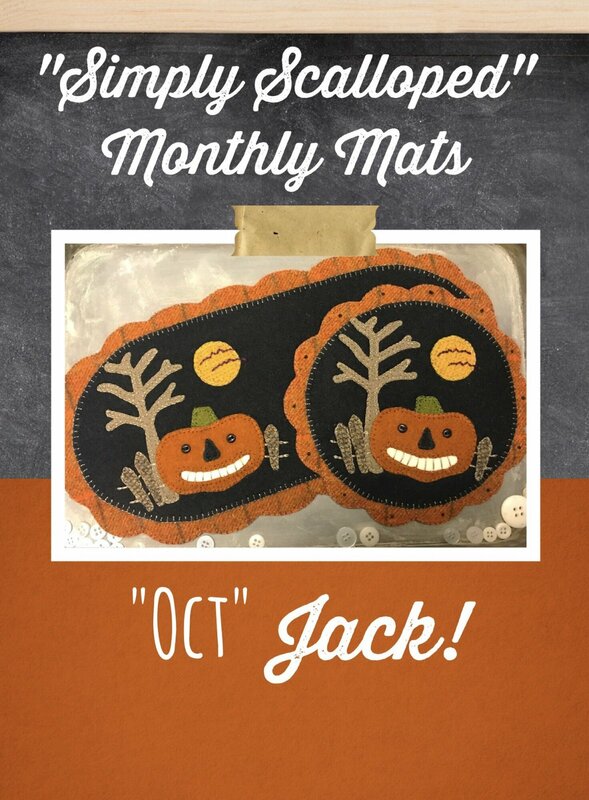 The May Simply Scalloped Mat pattern gives you the instructions to make both the oval mat and circle mat, and this kit includes wool to make both the oval mat and the round mat. The oval mat is 7" x 13", and the round mat is 7.5" round. 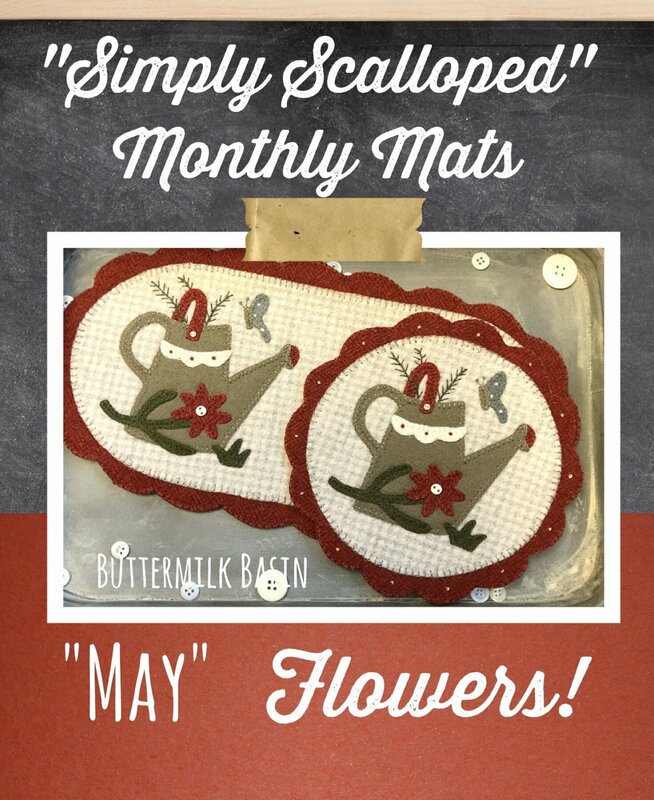 The May Simply Scalloped Mat pattern gives you the instructions to make both the oval mat and circle mat with a flowering can and flowers! The oval mat is 7" x 13", and the round mat is 7.5" round.